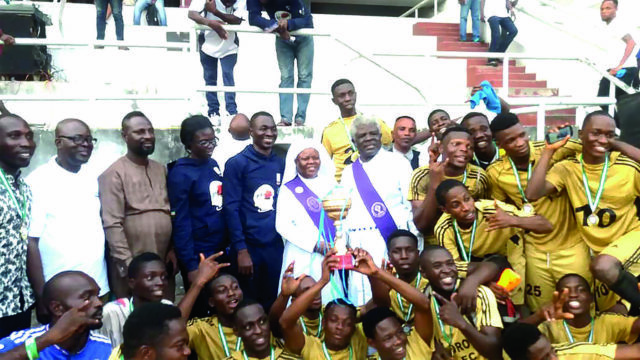 Christ Apostolic Church (CAC), dubbed ‘Ase Oro FC’, have emerged champions of the inaugural United for Christ Football League, an interdenominational church soccer tournament organised by the Cherubim and Seraphim, Covenant of Peace and Grace. CAC Ase Oro FC recorded a 2-1 victory over the football team of Cherubim and Seraphim, Covenant of Peace and Grace (CPG), in the final match played on Sunday, inside the mainbowl of the National Stadium, Surulere, Lagos. Both teams came out with determination in the opening minutes looking to seize the initiative. CAC Ase Oro’s Taiye Adeyinka scored the opening goal in the 11th minute following a miscalculation by the CPG defenders. The hosts drew level two minutes later through captain of the side, Seyi Amos. Efforts by both teams to get another goal before the end of the first half were unsuccessful. The second half started on a fierce note with CPG having the upper hand. They were however thwarted by goalkeeper Wale Idowu, who was in inspiring form for Ase Oro. Michael Christopher netted the winning goal from a free-kick two minutes to end the match, and all efforts by CPG to get an equaliser proved abortive. Faith of Prayer Ministry FC went home with the third-place prize after their opponents, Redeemed Christian Church of God (RCCG), Dominion Parish FC, failed to show up for the match. CPG’s David Alamo was named Best Player of the tournament, while the best goalkeeper went to Emmanuel Okoribe of RCCG, Dominion FC. 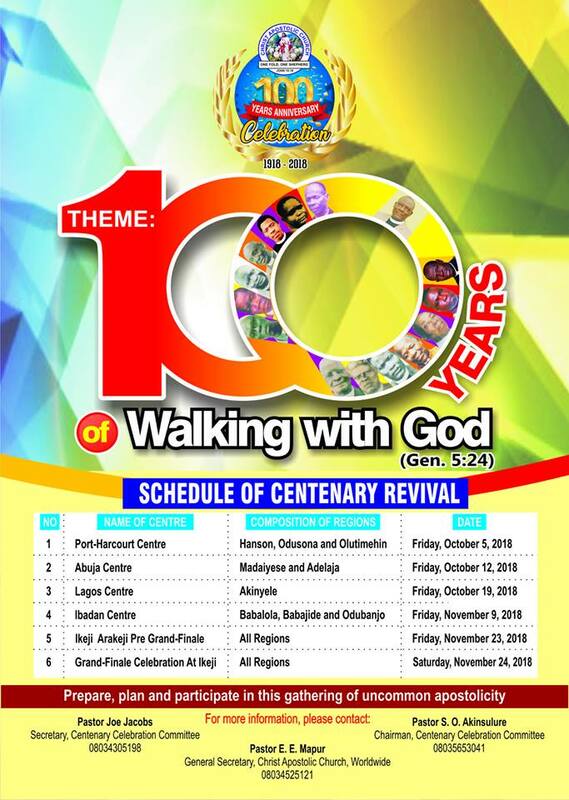 The Leader in charge of Cherubim and Seraphim Interdenominational Ministry, Covenant of Peace and Grace, who initiated the tournament, Prophet Samson Abiodun Korode, said he was delighted to see that the tourney, aimed at uniting churches and to evangelise to the youths, started and ended on a good note. 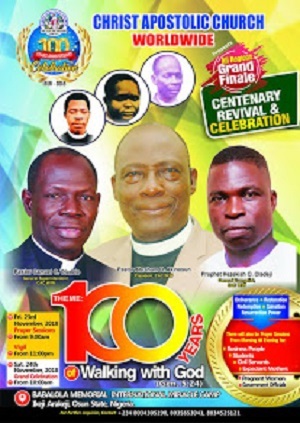 Prophet Korode assured that future editions of the tournament, which is an avenue to preach unity among religious bodies, would feature teams from more churches.